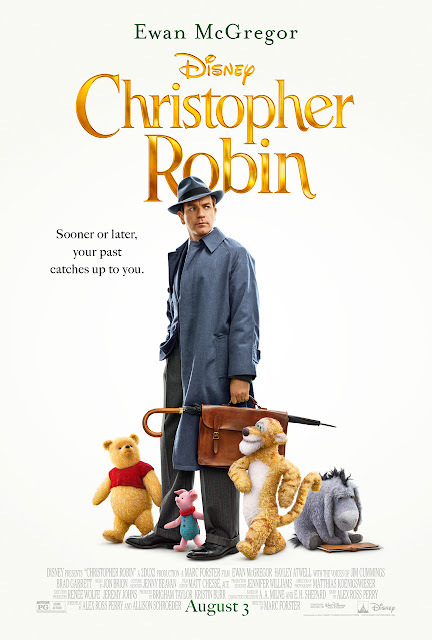 Who else is excited about Disney's Christopher Robin coming to theaters August 3rd? We have some free first come-first served passes as well as a giveaway for reserved seats to the July 31st screening at UA King of Prussia, PA! Scroll down to find out how to get your passes. **Screenings are first come, first served. You must arrive early to get in line as seats are not guaranteed. There are a limited number of passes. Once they are gone, the link will say screening is full. *click register for an account, some have seen that putting in a code does not lead you to a place to download your passes. No compensation was received for this post. This giveaway is not in any way associated with or endorsed by Facebook, Instagram, Pinterest or Twitter. Giveaway Ends 7/29/18 at 1AM EST. US Residents **18 and older** only may enter. One entry per household and IP address. Winner will be drawn using random.org and will have **24 hrs** to respond to email or another winner will be chosen. Entries are verified. No purchase necessary. Void where prohibited by law. The number of eligible entries received determines the odds of winning. The Attic Girl is not responsible/liable for prize delivery. Prizing provided by Allied. By entering the giveaway, you agree to the Giveaway terms/rules.